Jagdeep Guron is Vedic, Astrologer (Jyotishi) and Psychic consultant Its simplified techniques cause no hardships or austerities and were developed for aspiring householders as well as for monks. From Karma Yoga,Yoga teaches any action, ‘kri’, is done by ‘ya’, the indwelling soul; work is worship. Constant awareness of the power of the indwelling soul inhaling leads to mind control and liberation. Their mutual relationship has revealed the mystery of how to control the mind. Breath control is self-control. Breath mastery is self mastery.Breathlessness stage is deathlessness stage that brings the state of samadhi, the realization of the Absolute. Yoga, in general, is a spiritual practice or discipline that helps the individual unify his/her body, mind, and heart.Yoga is a direct experience of the vast interrelatedness of all life and of all things. You will feel at peace at the end of a yoga class because there is a natural realignment of your body which leads to a natural realignment of your perception of life and of who you are. You will need to develop discipline and there is hard work involved especially when you first begin.Hatha Yoga is the study and practice of physical alignments and breath.Yoga is much more that postural alignment and breathing.If you stay with yoga long enough, you may discover a "spiritual awakening" (for lack of a better phrase.) You will find out that who you are, is not just your body, and not just the conversations in your mind. Yoga is about transformation, not hamstrings, but along the way we have to take care of them. This is not dogma, but a direct experience. Yoga will open your eyes to things you have not experienced before. It will take you beyond the mundane survival level and into a whole new appreciation of life. Genuine yoga will change your life, your habits, your body, your health, your mind, your breathing patterns, your attitudes, your outlook. Yoga is about learning from direct experience. You will develop wisdom of how your body works most efficiently. You will learn how your conscious and unconsious mind can either support or harm you, and then later, a deeper wisodm naturally gets revealed. The benefits of Yoga will come to those who practice. There are many types of Yoga. That which comes to mind first is Hatha Yoga an element of Raja yoga, yoga that deals mainly with physical postures and breathing. Karma Yoga emphasizes spiritual practice to help the individual unify body, mind, and heart through certain practices in one’s daily life and work. Bhakti Yoga, a devotional form, generally encompasses chanting, reading of scriptures and worship practices. In general, Yoga is any practice that can turn the practitioner inward to find and experience an individual’s spiritual essence, to realize or awaken to his/her spiritual nature. Another type of yoga is jnana yoga. Hatha Yoga is perhaps the path of Yoga you are most familiar with since this is the most popular branch of Yoga in the West. This branch of Yoga uses physical poses or Asana, Breathing Techniques or Pranayama, and Meditation to achieve better health, as well as spirituality. There are many styles within this path - Iyengar, Integral, Astanga, Kripalu, and Jiva Mukti to name a few. Bhakti Yoga is the path most followed in India. This is the path of the heart and devotion. Yogis who practice this branch sees the "One" or the Divine in everyone and everything. Bhakti Yoga teaches a person to have devotion to the "One" or to Brahma by developing a person's love and acceptance for all things. Raja means "royal". This path is considered to be the King of Yoga and this may be due to the fact that most of its practitioners are members of religious and spiritual orders. Raja Yoga is based on the teachings of the Eight Limbs of Yoga found in the Yoga sutras. A Raja Yogi sees the self as central, and as such, respect to oneself and for all creation are vital to this path. They achieve self-respect by first learning to be masters of themselves. Jnana Yoga is the path of Yoga that basically deals with the mind, and as such, it focuses on man's intelligence. Jnana Yogis consider wisdom and intellect as important and they aim to unify the two to surpass limitations. Since they wish to gain knowledge, they are open to other philosophies and religion for they believe that an open and rational mind is crucial in knowing the spirit. Karma Yoga is the path of service for in this path, it is believed that your present situation is based on your past actions. So by doing selfless service now, you are choosing a future that is free from negativity and selfishness. Karma Yogis change their attitude towards the good and in the process, change their souls, which leads to a change in their destiny. Perhaps the most misunderstood of all the paths, Tantra Yoga is about using rituals to experience what is sacred. Tantra Yogis must possess certain qualities like purity, humility, devotion, dedication to his Guru, cosmic love, and truthfulness among other things. 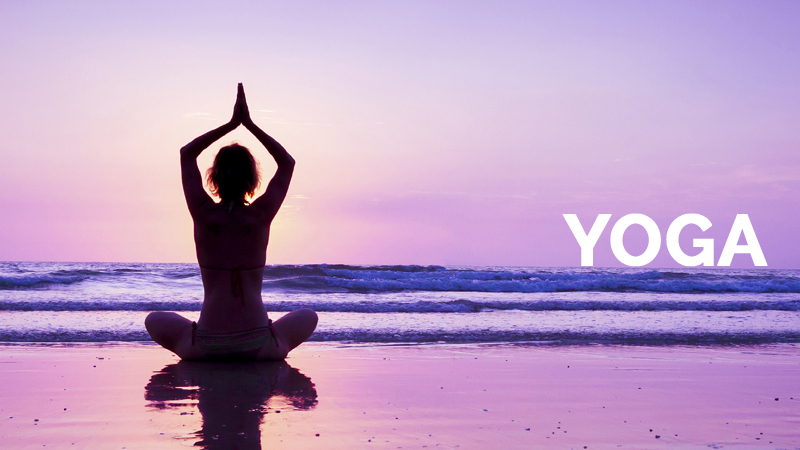 There are still a lot of misconceptions about Yoga, for instance, Yoga being a religion. Yoga is not a religion. It is more of a set of techniques for us to find spirituality. In fact, Yoga is being practiced by a lot of people from world. Another misconception is that Yoga is an exercise, a way for us to keep fit. It is partly true, but if you think that Yoga is just that then you are greatly mistaken. Yoga develops the body since a weak one is a hindrance to spiritual growth. It does not simply focus on the physical but on the mental and spiritual aspects as well. © Jagdeep Guron 2016 All right reserved. | Designed by Dcs Technologies Inc.